Wandering among skyscrapers in Central, Hong Kong, you may not imagine that in the back street lanes lay some old, or perhaps shabby, Cha Chaan Tengs (Hong Kong style Café) that reflect a certain culture of Hong Kong itself. 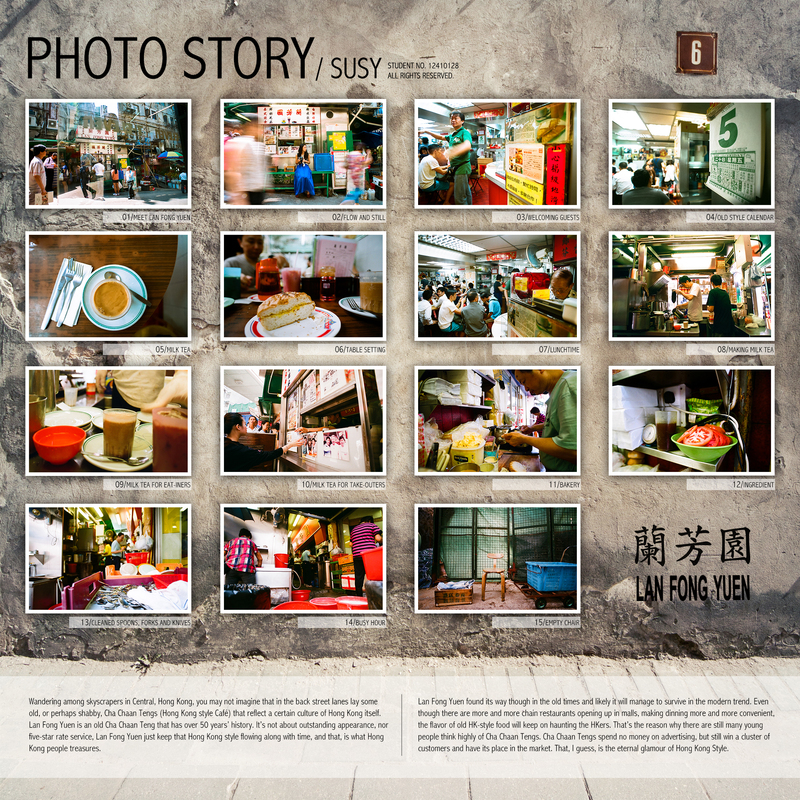 Lan Fong Yuen is an old Cha Chaan Teng that has over 50 years’ history. It’s not about outstanding appearance, nor five-star rate service, Lan Fong Yuen just keep that Hong Kong style flowing along with time, and that, is what Hong Kong people treasures. Lan Fong Yuen found its way though in the old times and likely it will manage to survive in the modern trend. Even though there are more and more chain restaurants opening up in malls, making dinning more and more convenient, the flavor of old HK-style food will keep on haunting the HKers. That’s the reason why there are still many young people think highly of Cha Chaan Tengs. Cha Chaan Tengs spend no money on advertising, but still win a cluster of customers and have its place in the market. That, I guess, is the eternal glamour of Hong Kong Style.